It can be a lot of work to attract backyard birds, but doing so can offer many benefits beyond just enjoying backyard visitors. Pest Control: Many birds eat a variety of insects, including aphids, mosquitoes, spiders and other bugs that may not be welcome in a yard or garden. Attracting birds encourages them to take advantage of this natural food source, eliminating the need for harsh chemical insecticides. Flower Pollination: Hummingbirds, Orioles and other birds that sip nectar are efficient pollinators of garden flowers. This can give flowerbeds an added color boost from extra blooms, which will, in turn, attract even more birds. Weed Control: Finches, towhees and sparrows consume great quantities of weed seeds, making them effective landscapers to help control unwanted plants. 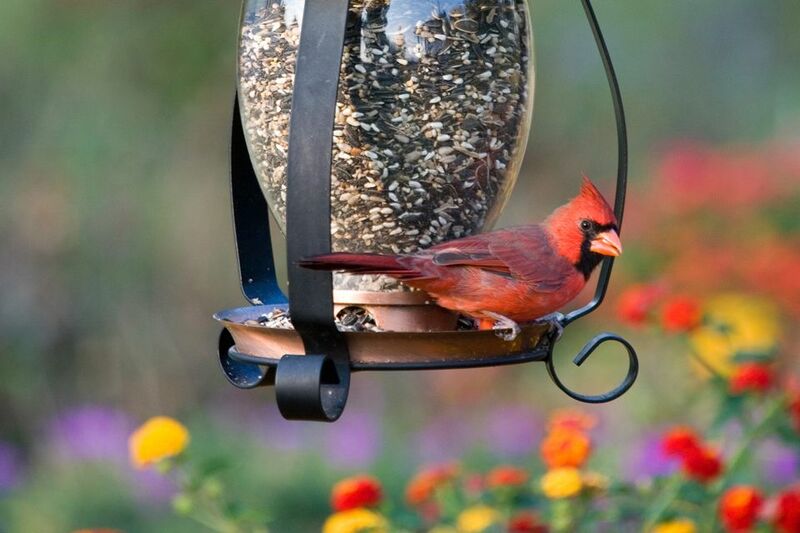 Planting seed-bearing flowers for birds can also give them a natural food source to enjoy without needing frequent feeder refills. Food Sharing: Many fruit trees for birds are also great for birders, including apples, peaches, plums and pears. Planting these trees and berry-producing shrubs to attract birds will give backyard birders fresh, delicious fruit to enjoy after every harvest. Environmental Conservation: Bird-friendly landscaping makes use of native plants and available resources in environmentally conscious ways. Native plants use less water and are more resistant to diseases, making them better for the local ecosystem and requiring less work to maintain. Increased Property Values: A home that is well-maintained with appropriate native landscaping that attracts birds has better curb appeal and good value for homeowners. This helps keep neighborhood values rising and is a great investment for home sales. Education: Observing backyard birds is a unique opportunity to study local wildlife and attracting birds all year round gives backyard birders the chance to see seasonal plumage changes, migration, courtship behavior and nesting. This is also a great way to introduce children to wildlife enjoyment and appreciation, spreading birding across generations. Wildlife Conservation: As more habitats become threatened through development, attracting backyard birds provides a critical oasis for bird and wildlife conservation, both for local species and migrating birds. This helps preserve birds both in the yard and in the larger local environment. Stress Relief: Watching birds, interacting with them, listening to their songs and taking the time to work outdoors improving their habitat can help relieve stress and promote well-being. Time outdoors can also ensure backyard birders have an adequate supply of vitamin D and detoxify the body through the fresh air. For many backyard birders, the best benefit of attracting birds is simply being able to enjoy them, but attracting them with proper landscaping and attentive care can lead to a range of other benefits that make enjoying the birds even more exciting and productive.